Homemade spiced cranberry sauce put those tinned canned jelled versions to shame. 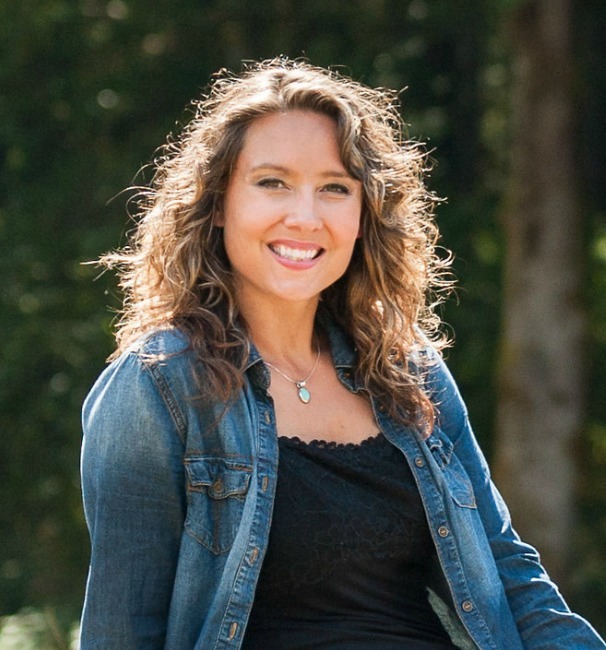 And you wouldn’t expect anything less than from scratch cranberry sauce pioneer woman style on a homesteading blog and podcast entitled Pioneering Today, am I right? 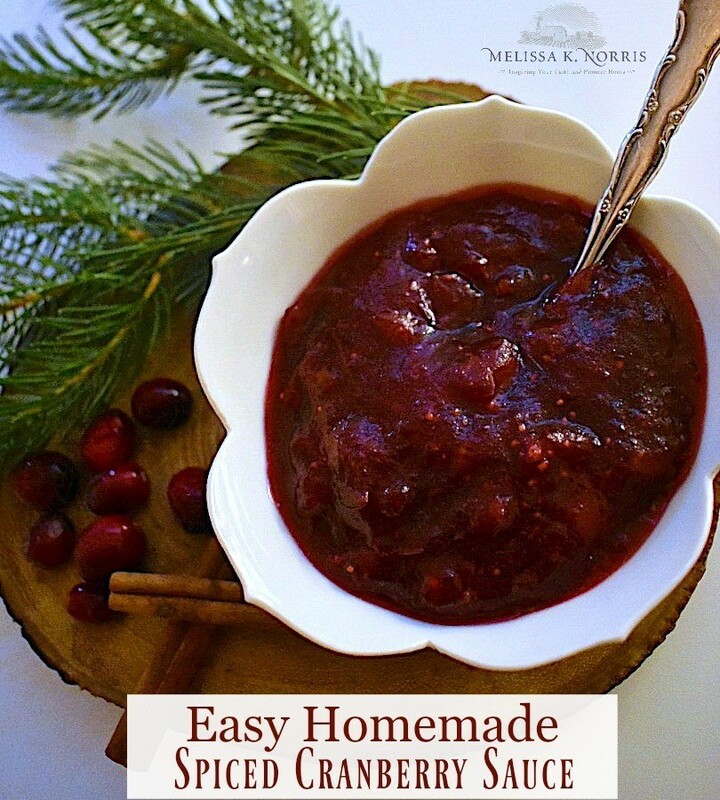 You’re in for a treat today because Anna is sharing her best homemade cranberry sauce recipe today with a fun twist of spices. I never used to like cranberry sauce. I didn’t even bother to put it on my plate most of the time at Thanksgiving and Christmas. But then again, like most modern families, we always ate it out of a can from the store, and I found it a bit boring. To be honest, for most of my life I wasn’t a huge fan of holiday dinners. I’ve never been a big turkey fan and I don’t love plain ol’ mashed potatoes or boiled brussels sprouts either. But after my husband and I took over hosting holiday dinners a few years ago, I’ve been on a mission to recreate traditional holiday dishes with a twist. When we do a turkey, now we use a smoker to cook it, giving it a distinct flavor and a crispy skin. Otherwise we do a clove-studded ham basted in apple jelly. We’ve upgraded the mashed potatoes to a scalloped potatoes recipe that is to die for, and I now char my brussels sprouts in my cast iron pan and top them with a little lemon juice and parmesan cheese, which is definitely an upgrade on the traditional boiled recipe. All of these “upgrades” on the traditional Thanksgiving and Christmas meals have made holiday dinners something we truly look forward to all year in our house now, and let’s just say our extended family is happy to let us to host each year. But the cherry on top (or should I say cranberry) is this upgrade on traditional cranberry sauce. This homemade cranberry sauce is made with cinnamon and vanilla, giving it a subtle twist that compliments and helps to balance the tartness of the cranberries. It’s beyond easy to make, requiring just 5 ingredients total (one being water), and takes just half an hour total to cook with next to zero prep time. This recipe can also be canned so you could make it ahead of time, or make a big batch for Thanksgiving and preserve some for Christmas. If you want to can this recipe, fill jars to 1/2 inch headspace and process for 15 minutes in a water bath canner. I also recommend doubling the batch for canning as the recipe below is enough to fill just one pint jar or two jam jars. It will also keep well in the fridge for at least a few days, which means you can definitely make this ahead of time and save time cooking on the big day without sacrificing homemade taste and quality. 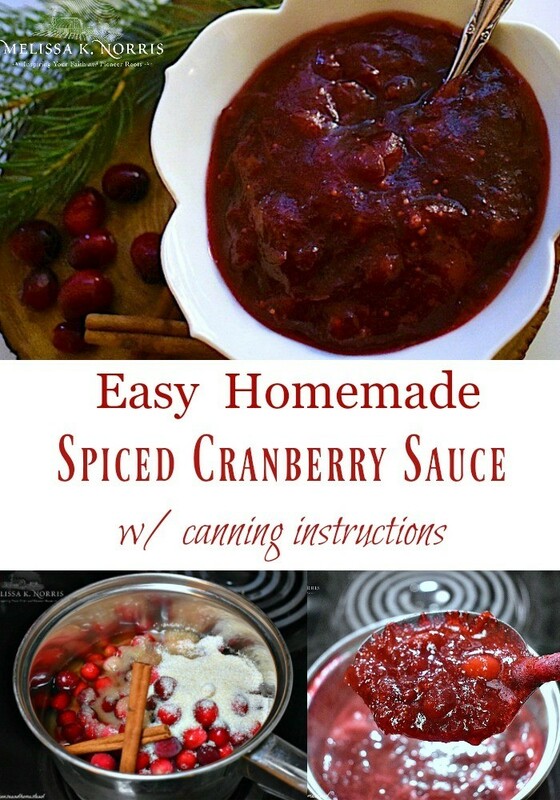 You can also omit the cinnamon and vanilla if you’re just looking for a traditional, simple cranberry sauce recipe. Or omit the vanilla but keep the cinnamon or visa versa. I like this version better too because the cinnamon adds just the right balance of spice, which is always reminiscent of warm family gatherings on chilly fall and winter nights over the holiday season. Add all ingredients to a small sauce pan and turn heat on to medium high. Stir well to combine ingredients and simmer on medium/medium high until sugar is dissolved and cranberries begin to burst (about 10 minutes). Turn down to medium low and simmer gently, stirring frequently until mixture begins to thicken up like jam (about another 20 minutes). Remove cinnamon sticks and vanilla bean if using and discard in compost. 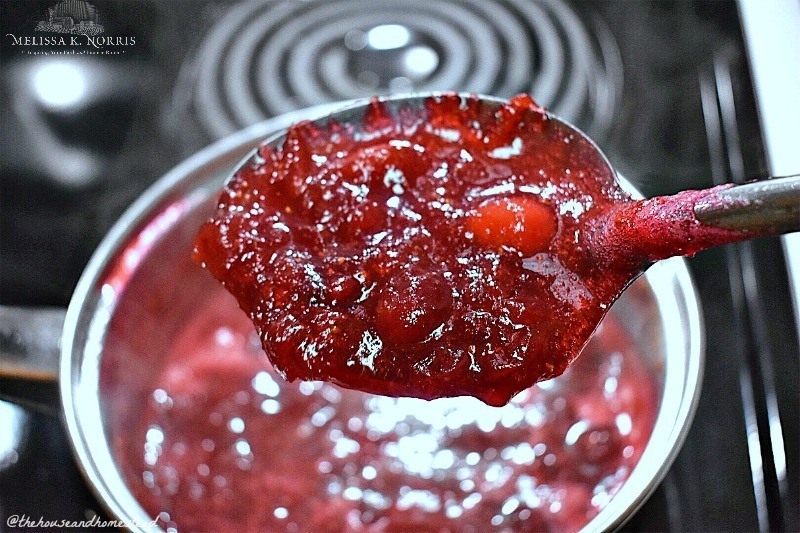 Let cranberry sauce cool completely before serving. * If canning, pour hot cranberry sauce into hot, sterilized pint size jars leaving 1/2 inch headspace and process in a hot water bath for 15 minutes. 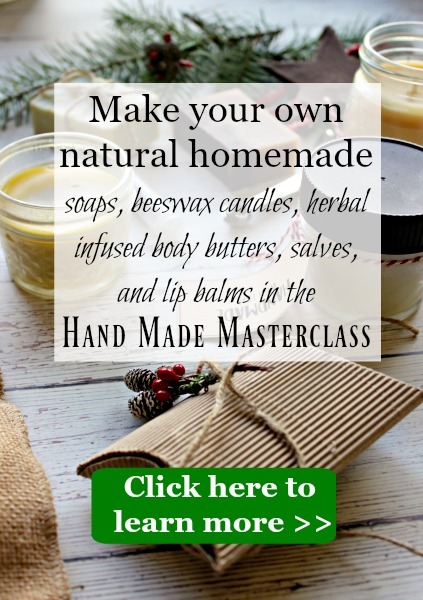 Remove lid from canner and let stand for 5 minutes before removing jars. Let cool completely before storing. 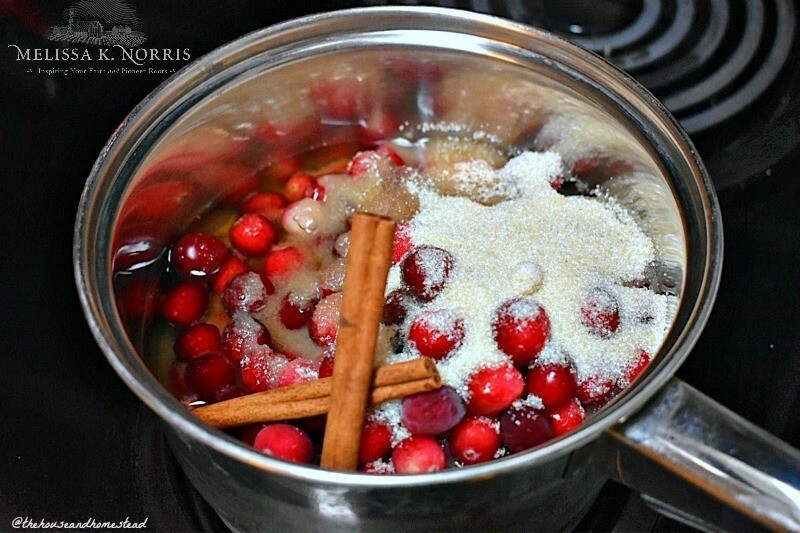 What’s your favorite twists to add to homemade spiced cranberry sauce? 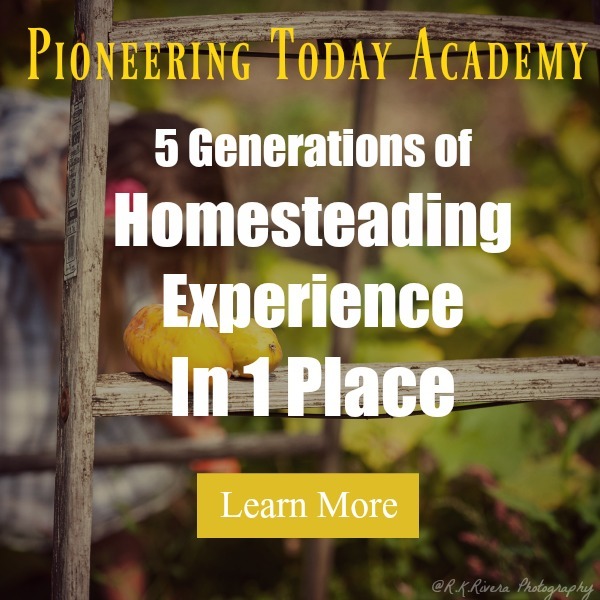 My name is Anna and I'm a modern homesteader. 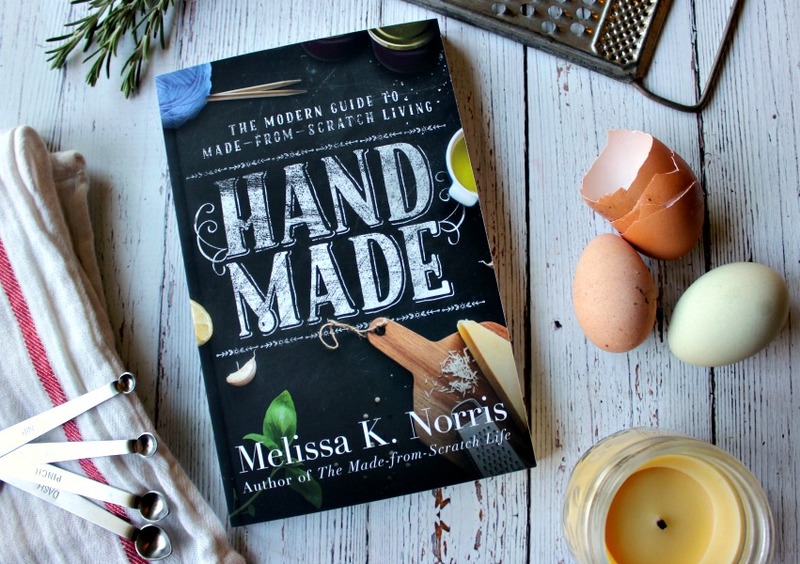 I began homesteading a few years ago when I still lived in a condo in the city. It changed my life! I now live on just over an acre and am following my dreams of living a simpler, more sustainable and self-sufficient life. 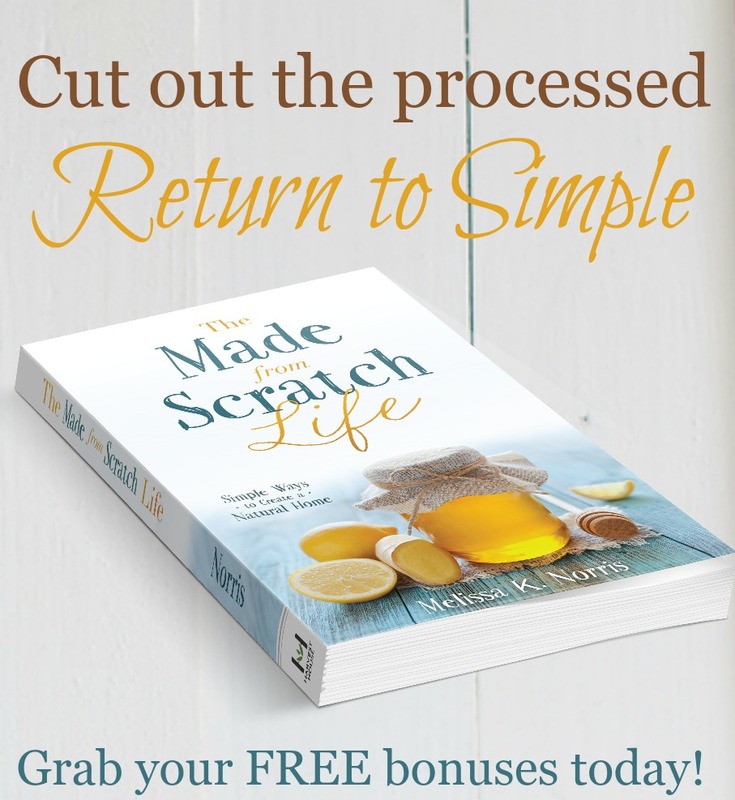 I love to help and inspire others to do the same & prove that the simple life doesn't have to be complicated!